Working out with a busy schedule can be hard—but having something cute and motivating to wear can help. 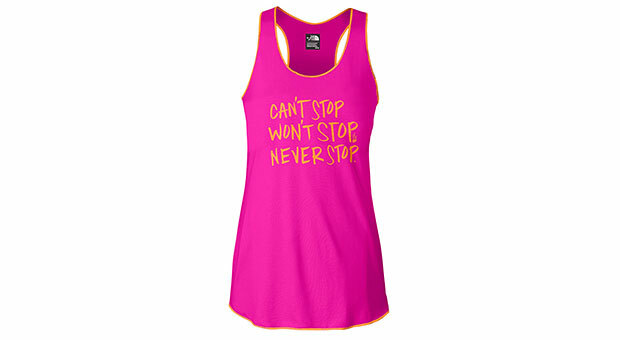 Working out with a busy schedule can be hardâbut having something cute to wear can help. Even better is having something cute and motivational to wear. 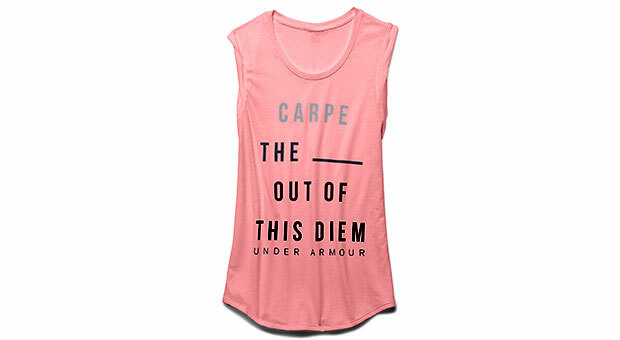 That's why we rounded up our favorite tanks branded with phrases that will inspire you to sweat. We'll let you fill in the blank. Made with soft, moisture-wicking material, this badass tank looks extra cute with your lucky pair of exercise tights thanks to the drop-waist. 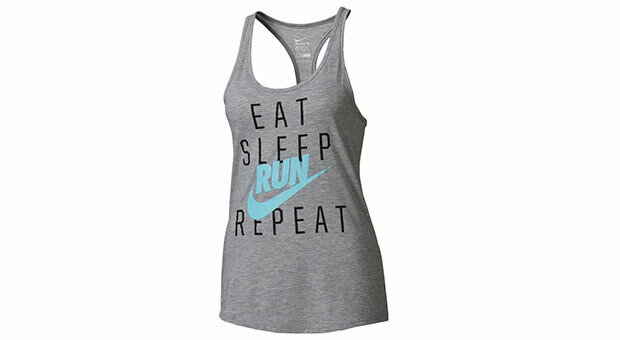 Knock out your workout first thing with this Nike Women's Eat Sleep Run Repeat Running Tank Top ($26; dickssportinggoods.com) This loose fitÂ tank with Dri-FIT fabric is just what you need to get through marathon training. With itâs lightweight and loose fit, The North Face Womenâs Graphic Play Hard Tank ($25; thenorthface.com) takes your favorite racer back up a notch with a reminder that nothing stands in your way. The slogan: "Train insane or remain the same." Take the motivation from your favorite Youtuber to the gym with this Train Insane Braided Tank ($22; ogorgeous.com) from Blogilates star Cassey Ho. The longer front offers full coverage while the braid in the back adds a feminine touch. 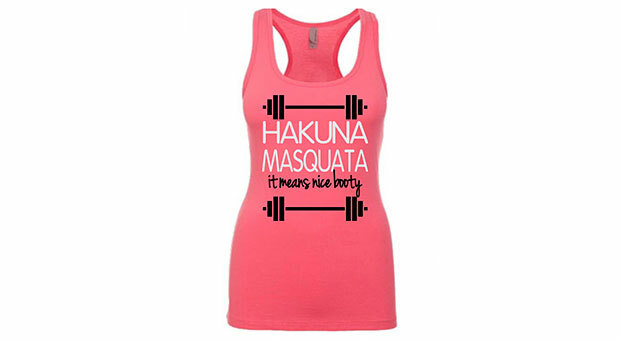 Youâll have no worries getting your reps in with this Hakuna Masquata Racerback Tank Top ($20; etsy.com). The best part: this made-to-order tank comes in 14 shades for you to pick from. 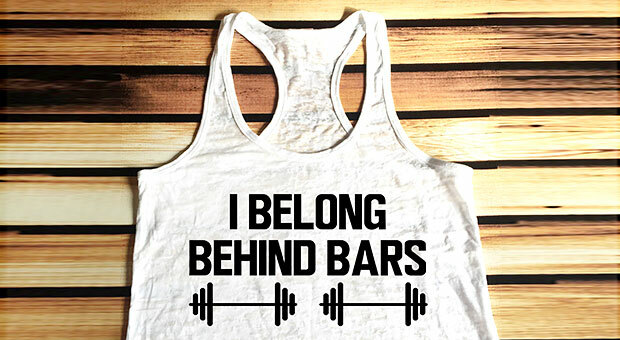 Show off your strength (and guns) on arm day with this Behind Bars Workout Tank Top ($23; etsy.com). This customizable tank will keep you powering through your reps even on the hardest of days. 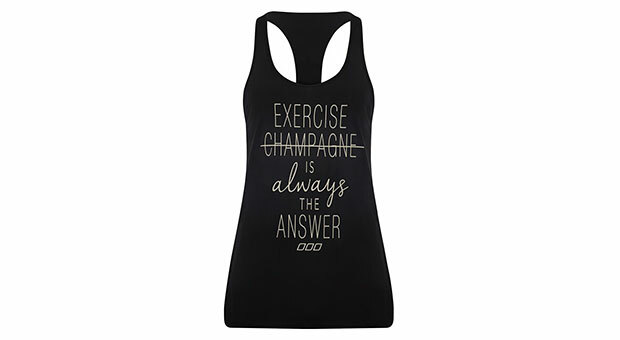 Okay, weâll admit that sometimes Champagne is the answer. But this Lorna Jane Answers Excel Tank ($63; lornajane.com) will remind you that most times a good sweat sesh with your favorite instructor is all you really need.